NORTH WEBSTER — When it came time to make a final decision on who to hire as the next head coach of the varsity football team at Wawasee High School, administrators chose someone already quite familiar with the system. 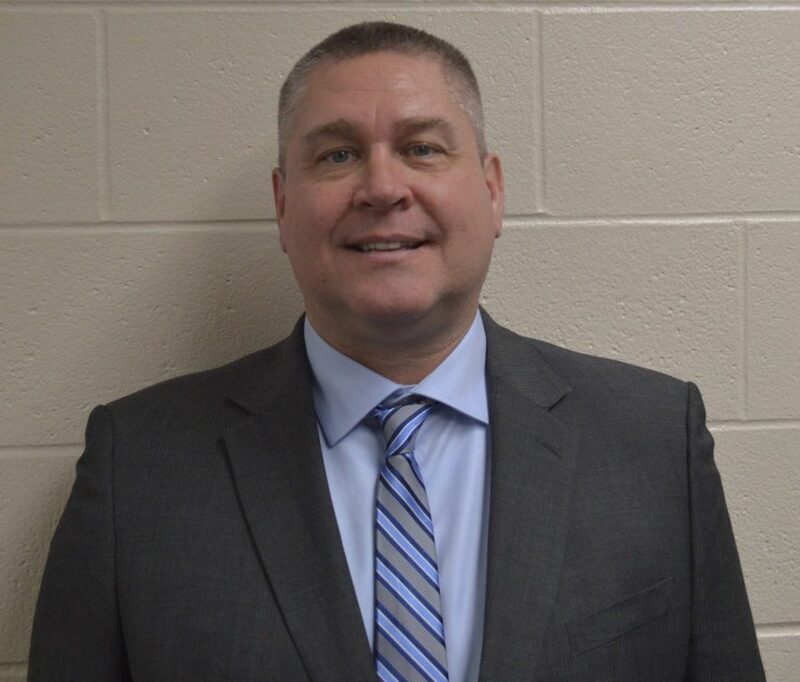 During the regular monthly meeting of the Wawasee School Board Tuesday evening, Feb. 19, at North Webster Elementary, Jon Reutebuch was named the new head coach of Warrior football. Reutebuch, a social studies teacher at Milford Middle School, has coached football for 26 years with more than half of that time being an assistant coach at the high school level. He is quite familiar with the Warrior system. He said the timing was right for him to become the head coach and he hopes to take the program in a new direction. “I would like to see more involvement with feeder programs and more community service,” he said, adding he wants to increase the number of kids participating in football. “They are not going to just come to us, we need to actively recruit them,” he said, noting with the advent of technology and smartphones there are many more things for kids to become involved in now. Reutebuch said he plans to keep the same spread offense with multiple formations, with possibly a few new wrinkles, and run a 4-2-5 defensive formation. In other business, the board heard a presentation from several of Charlotte Jessie’s fourth grade students at North Webster Elementary. The students are part of what is known as the Power Kids Group and have taken on a project to improve the eco system by discouraging the use of plastic, especially straws. A video presentation was given on the Great Pacific garbage patch and it was noted garbage collects in rivers before flowing into oceans. Because of plastic polluting oceans, marine animals and species are dying, according to the video. Through research, the students found 884 straws are used daily at North Webster Elementary and about 6,000 per day throughout the school corporation. Approximately $3,700 is spent per year for straws. The students came up with a solution to use stainless steel straws instead of plastic ones and to also use either dispensers or cups. Using stainless steel straws would mean less milk gets into the cracks of straws. Dr. Tom Edington, Wawasee superintendent, said the proposal will be considered. Also during Tuesday’s meeting, during her report to the board Joy Goshert, assistant superintendent, talked about the multiple measure report cards for the 2017-18 school year. Using several factors such as NWEA testing results, student and staff attendance, the percentage of students in special education and other factors, the school corporation assigns a letter grade to each school. This is different from letter grades issued by the Indiana Department of Education and state testing results are not used much at all. North Webster Elementary, Syracuse Elementary and Milford Middle School were all given A grades, Milford Elementary and Wawasee Middle School were given a B and Wawasee High School was given a C.
• There have been nine missed school days with eight of those made up through eLearning and the ninth one to be made up Saturday, March 16, with eLearning. • The WHS Robotics team received a congratulatory letter from U.S. Rep. Jim Banks for qualifying for the VEX World Robotics Championships. • Davis Everingham, a fifth grade student at Syracuse Elementary, received support from the Syracuse Rotary Club to attend a STEM overnight camp. • Milford School received a donation of three white board panels for classrooms. • Wawasee Kiwanis Club donated $250 to Warrior Auto Spa students to help with a trip to the Chicago Auto Show. The special needs students are part of an applied skills career exploration class at the high school. • Syracuse Elementary received an anonymous donation of $1,000 to help with emergency needs of students. • Scott Beasley of Northern Lakes Insurance donated a scoreboard for the high school varsity baseball field hopefully to be installed by the start of the baseball sectional this year. • New 40 mph speed limit signs have been installed by INDOT along SR 13 by Wawasee Middle School.